In an unprecedented transparency, the Cabinet held a live meeting, approving the Action Plan for 2016 and calling on the other branches of power to not interfere with its work; the IMF demanded reforms and intensification of the fight against corruption; and the State Statistics Service reported on the acceleration of inflation – these are the main economic news of the past week. The intrigue with "rebooting" the government has escalated – Arseniy Yatsenyuk-led Cabinet went for a counter-offensive against its critics. On Thursday, the government held a notable PR campaign highlighting its transparency: the ministers were discussing state affairs and taking decisions on live television for as much as four hours. Yatsenyuk and his team, who have actually united facing a real threat of dismissal, appealed to the President and the Parliament to support the new code of relations of power branches at the legislative level, which would guarantee non-interference of politicians in the work of both the Cabinet and state-owned companies. "We appeal to the Parliament to ensure that the plans of political non-interference became part of the national legislation; so that the parliament approved the basic goals and principles of the policy. This is our position as a government. And we are ready to work when all participants in the political process share these principles," Yatsenyuk said. By the way, on Friday, the G7 Ambassadors issued a statement welcoming proclamation by the Ukrainian government of the basic goals and principles of public policy. Most likely, such behavior of the Cabinet should be supported by the Ukrainians. After all, just while ago, the country has witnessed a high-profile political scandal - Minister of Economic Development Aivaras Abromavicius accused the deputy head of the pro-presidential faction and business partner of President Poroshenko, Ihor Kononenko, of lobbying the appointment of his protégés to the various positions in the power structures. The signs of a full-fledged political crisis became more apparent. The pro-presidential BPP faction along with their colleagues from other factions stated the Cabinet lacks parliamentary support, suggesting the need for a radical renewal of the government’s composition. Meanwhile, supporters of the prime minister went on to say that parliament lacks the required 226 votes for the dismissal of the Cabinet. Even with those votes in place, this would not resolve all the problems, it would not become a basis for the resolution of the political crisis, as supporters of the resignation have not yet decided who they want to see as successors of Yatsenyuk and the other ministers. In this case, the incumbent government members would become “acting” and continue to occupy their seats before the new appointments took place. The list of nominees for ministerial positions drafted by the BPP faction was a real joke to the people, as the officials with unambiguous business interests, a train of corruption scandals, with no managerial experience and even required professional certificates can’t possibly become a new "dream team" to rescue the national economy in crisis. No wonder that the European Union has decided not to wait for February 16 (the scheduled date for Cabinet report in parliament), and once again strongly urged the public authorities and all political parties in Ukraine to unite for the sake of continuing the reform process in the country. 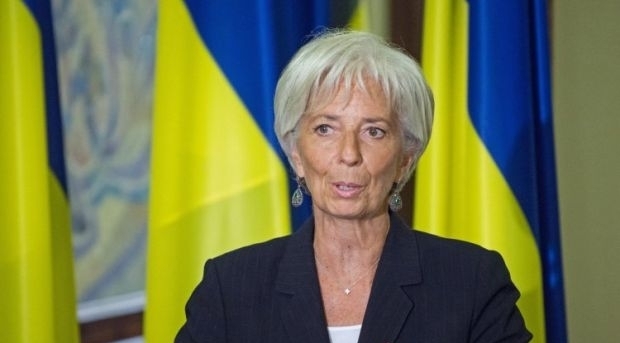 "I am concerned about Ukraine's slow progress in improving governance and fighting corruption, and reducing the influence of vested interests in policymaking," Lagarde said. "Without a substantial new effort to invigorate governance reforms and fight corruption, it is hard to see how the IMF-supported program can continue and be successful." Such a strong statement was a "bolt from the blue." After all, until recently, President Poroshenko assured that the Davos talks with Lagarde were a success, as the IMF chief welcomed the prospect of granting Ukraine the Fund’s next tranche. National Bank Governor Valeriya Gontareva has stated without a shadow of doubt that a new memorandum with the IMF will be signed in the near future, and only some technical issues remained to be fine-tuned. But as the last week has shown, the corruption scandal with Kononenko has virtually put the relations with the Fund on reset. Therefore Poroshenko had to start all over again – he reassured Ms Lagarde by phone that Ukraine would not retreat from its reform plan and will continue the fight against corruption. Then the issue was discussed twice with the U.S. Vice President Joe Biden. It appears that the West did not believe the Ukrainian president that much. Because on Friday, Finance Minister Natalie Jaresko announced that the government, together with the President's Administration, is working on a road map of priority reforms to be presented to the IMF. Apparently, the work on the roadmap goes parallel to agreeing the Memorandum on the second revision of the four-year cooperation program approved in March 2015. It is clear that the memorandum has not been signed. Everyone is waiting for February 16 - the Government report to Parliament. According to a senior fellow at the Peterson Institute for International Economics Anders Aslund, in order to show the IMF the will to speed up the reform, it is necessary to dismiss Prosecutor General of Ukraine Viktor Shokin and MP from the Bloc of Petro Poroshenko Ihor Kononenko. The national media referred to Aslund as saying that the two officials remaining in office for so long is nonsense as this hinders the reform process. The government will not be able to write an off-hand plan of reforms for the IMF. The thing is that the Fund's experts are well aware of the state of the Ukrainian economy and its "black" spots. This is evidenced by the IMF report, drawn up on following the IMF technical mission’s visit to Ukraine in the summer of 2015. In the IMF Technical Assistance report, the IMF experts not only analyzed the state of the economy, but also gave their recommendations for further reforms. 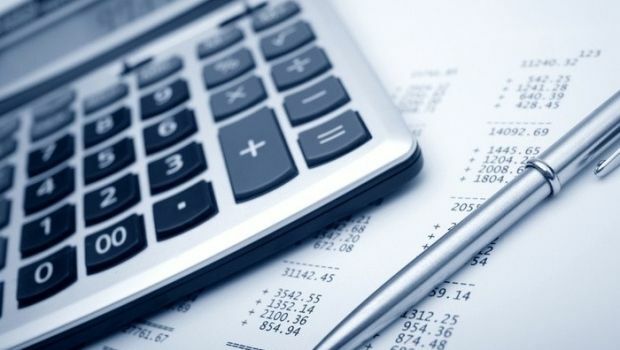 In particular, The International Monetary Fund (IMF) considers it necessary to toughen simplified taxation rules in Ukraine, simultaneously revising the criteria for businesses to qualify for the simplified tax system and excluding value added tax payers and legal entities from the simplified system. The Fund believe that the tightening of the rules of a simplified tax system will make impossible indirect tax evasion, when the employers contract their workers as independent entrepreneurs. The elimination of this practice will be an incentive for individuals and companies to de-shadow their income, which, ultimately, will help balance revenues and expenses of the state budget, in terms of administering the SSC as the main payroll tax in Ukraine. In addition, the IMF proposed softening the country's legislation on bank secrecy to strengthen control over income and tax payments.. According to the IMF experts, the State Fiscal Service (SFS), responsible for control over tax payments, has limited powers in monitoring banking transactions, including cash withdrawals, which constitutes direct tax evasion. “The SFS can obtain bank statements only with a court order and the information so obtained is restricted generally to general account balances,” reads the report. Also, the Fund issued recommendations regarding the excise duties, noting that there are opportunities for them to improve, meaning payments which dropped due to the devaluation of the hryvnia and inflation. Therefore, the Fund recommended to raise excise tax rates on beer and spirits, as well as strengthen control over alcohol turnover by taxing sales of pure alcohol with the possibility of compensation payments under certain conditions. Time will show whether Ukraine will listen to the recommendations of its key lender. It was the hryvnia which first responded to the strengthening of the political crisis and the deterioration of relations with the IMF – the national currency continued its fall. By Friday evening, the euro on the interbank market has already traded UAH 30, and the dollar was at UAH 26,35-26,6. While earlier the NBU Governor, Valeriya Gontareva, said at a meeting with the deputies that the latest depreciation of the hryvnia was caused by fundamental factors, later the Minister of Finance, Natalie Jaresko said that neither her ministry, nor the NBU saw any significant macroeconomic factors for the big fluctuations of the hryvnia exchange rate. 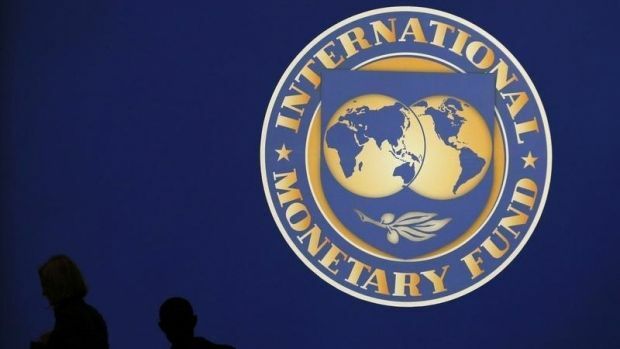 According to the bankers interviewed by UNIAN, the IMF statement itself will not have a negative impact on the hryvnia exchange rate, but given the number of other factors, the recurrence of last year's scenario is likely, when the hryvnia depreciated to its new historic low against the dollar – UAH 30 / USD. Chief expert OTP Bank Nikita Mishakov believes that in the current situation, as the failure of further IMF funding becomes real, the need to adhere to the Fund's requirements concerning the free exchange rate is reduced, and further exchange rate will depend solely on the position of the NBU on this issue. "The probability of a last year’s scenario repeating is very high, but given the new levels, the return to the low rates of UAH 21,00-23,00 [to the dollar] is unlikely," said the banker. According to the chief economist at UniCredit Bank Andriy Prykhodko, technically, the IMF tranches may only influence the exchange rate when they are distributed to the budget as macro-financial assistance, with the next tranche going directly to the international reserves. Prikhodko believes that a complete cessation of extended fund facility program with the IMF is unlikely, but it is clear that the Fund will not fall back on its formal requirements and will continue to insist on promoting the reforms stipulated in the memorandum. Last week, the State Statistics Service has published the inflation rate: in January, 2016 it accelerated compared to December 2015, to 0.9% from 0.7% recorded in December to November. Compared with the previous month, the biggest rise in prices were recorded in January for water utilities, fruit, and vegetables. However, there was a decline recorded of some prices, in particular, for clothing, footwear, alcoholic beverages and tobacco products. At the same time, in annual terms, inflation last month slowed to 40.3% from 43.3% recorded the previous month. The National Bank hastened to assure that the January data of the State Statistics were close to the estimates of the regulator. As reported earlier, the NBU predicted a slowdown in consumer price inflation to 12% by the end of 2015. But, according to a senior analyst of Alpari company, Vadym Iosub, such a forecast looks too optimistic. 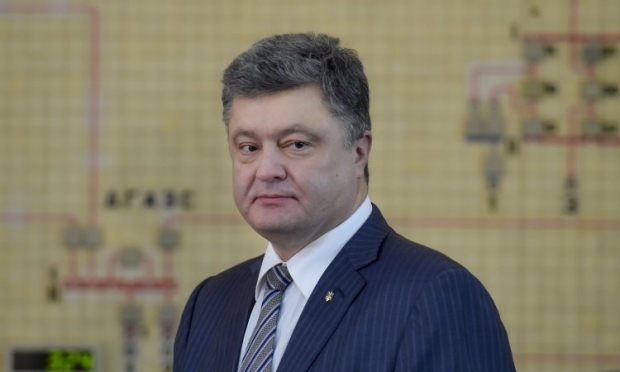 He believes that the obstacles to the reduction of inflation to the target level are primarily the external factors, including the continued reduction of prices on the world markets of raw materials and food that affects many positions of Ukrainian exports. 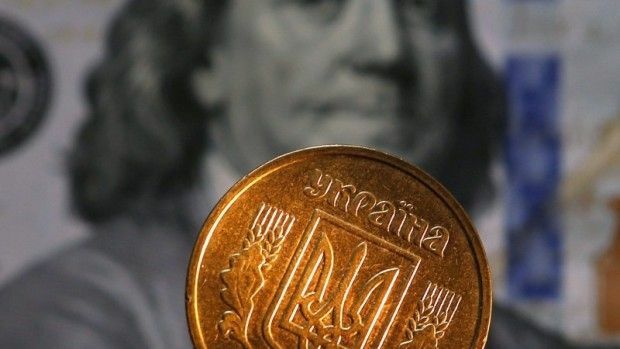 "As a result, the state of the balance of payments may be worse than expected, leading to a weakening of the hryvnia exchange rate, and this, in turn, can contribute to accelerating growth of consumer prices," said the expert. In addition, according to Iosub, the overall price level will be affected by the continuing tensions in the east of the country, as well as by the escalating governmental crisis, which in the worst case can lead to the freezing of new tranches of aid allocated by foreign creditors, primarily the IMF.